Today was my Casual Crochet group at the Longmont Yarn Shoppe. We had 8 people there, counting myself, there was lots of fun showing off finished projects and those that are still in progress. 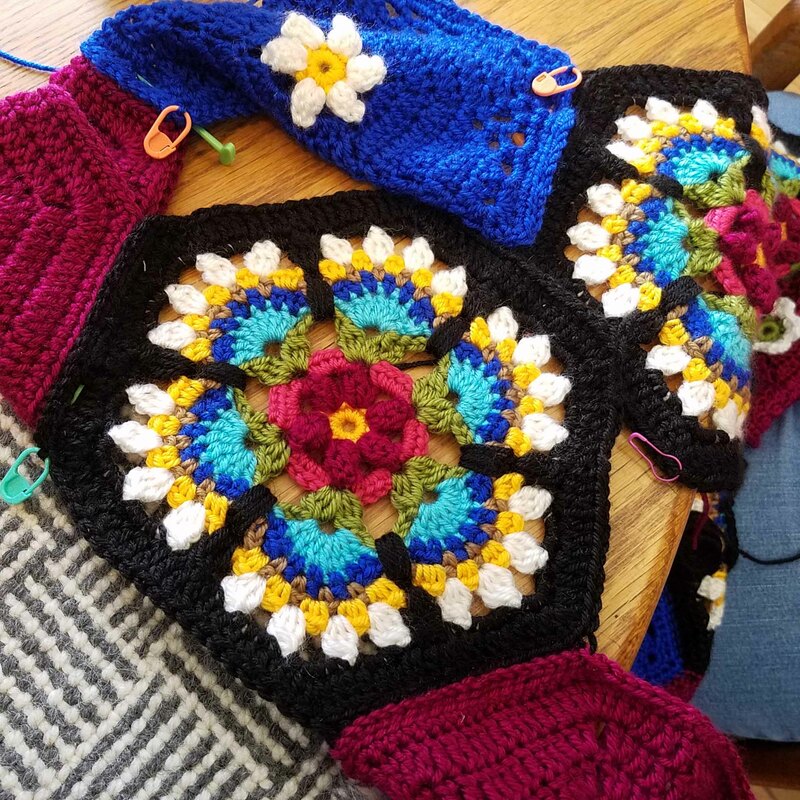 Margie had one of her “Frida’s Flowers” afghans with her. She is making 2, one in pastel colors and one in bright jewel tone colors. She had the bright one with her today. I just loved the black background motifs. I also found out today that my class this Saturday has 3 students already. That means I have room for a few more students. 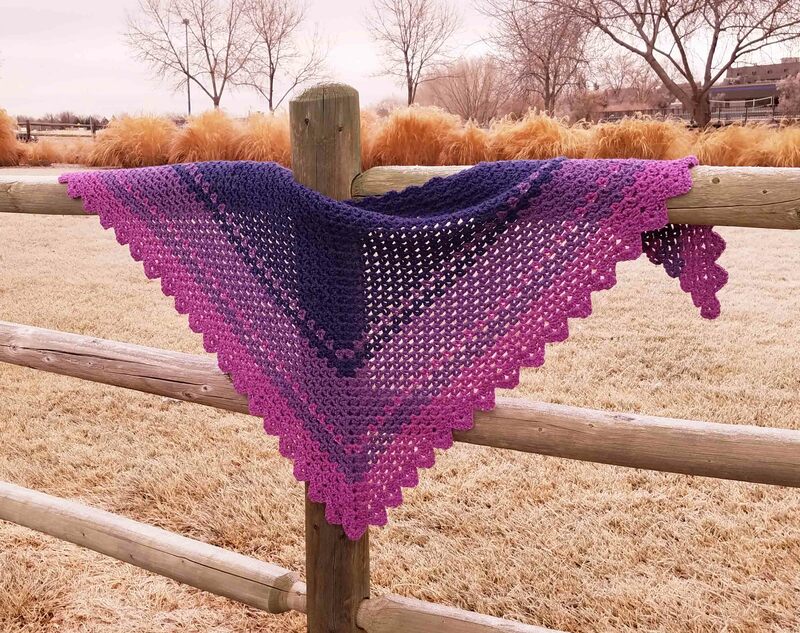 If you are in the area and want to learn more than you thought there was to know about crocheting a top-down triangle shawl come join me for my “Playing with Triangles” class this Saturday. The class starts at 12 noon and goes until 3 p.m. 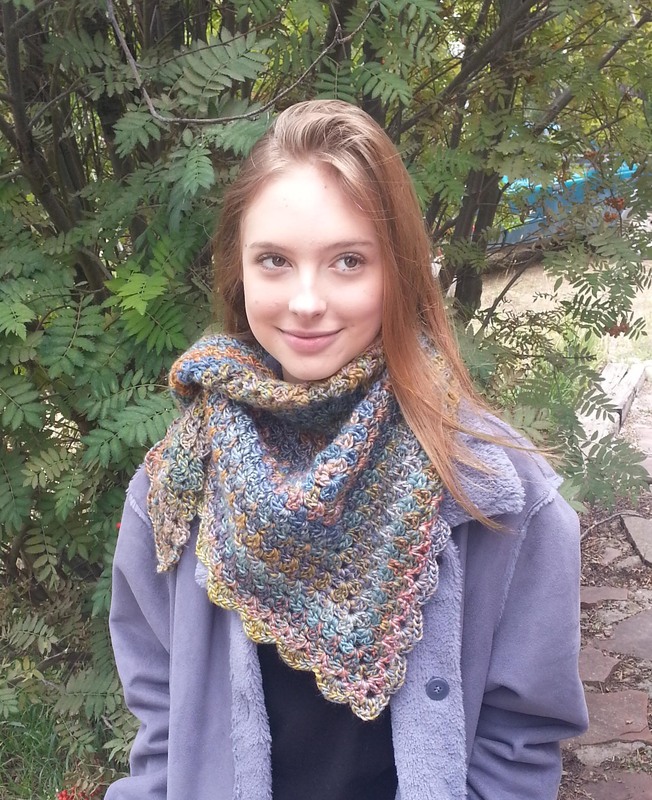 It will be 3 full hours of the basics and beyond of working triangle shawls with any yarn and hook combination that appeal to you. You can sign up for the class online at the Longmont Yarn Shoppe website, or call or stop by the shop. Speaking of classes. Today registration opened for the Chain Link – CGOA Conference in Chicago this July 26-29. You can sign up for classes and get your tickets for all the fun events. Online registration is open until July 20, 2017. I’ll definitely pass along your compliment. Thanks for the well wishes for my class. I love to teach, so it is great fun to have a full class.